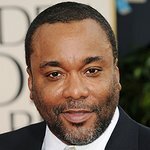 On Wednesday, February 7, 2018, amfAR, The Foundation for AIDS Research, will kick off New York Fashion Week with its annual amfAR Gala New York at Cipriani Wall Street and will pay tribute to writer, producer, and director Lee Daniels and W Magazine’s Stefano Tonchi for their longstanding commitment to the fight against AIDS. Chairs include Emily Ratajkowski, Hailey Baldwin, Irina Shayk, Maggio Cipriani, Susanne Hatje, Johnny Lin, Cindy and Howard Rachofsky, and Baran Süzer. The amfAR Gala New York is one of New York City’s most successful and high-profile AIDS benefits. Previous honorees include President Bill Clinton, Dame Elizabeth Taylor, Kenneth Cole, Diane von Furstenberg, Yves Carcelle, Sir Elton John and David Furnish, Clive Davis, Richard Gere, Whoopi Goldberg, Tom Hanks, Janet Jackson, Quincy Jones, Donna Karan, Heidi Klum, Lorne Michaels, Liza Minnelli, Rosie O'Donnell, Natasha Richardson, Carine Roitfeld, Caroline Scheufele, Julian Schnabel, Sharon Stone, Barbara Walters, Robin Williams, Scarlett Johansson, Donatella Versace, and Anna Wintour.